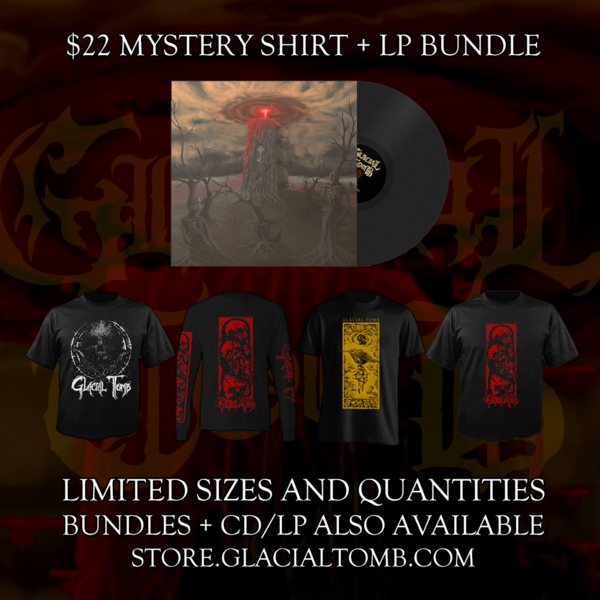 One of the $5 mystery shirts + a copy of our self-titled debut on black vinyl. Includes digital download card. Free shipping to continental US buyers.